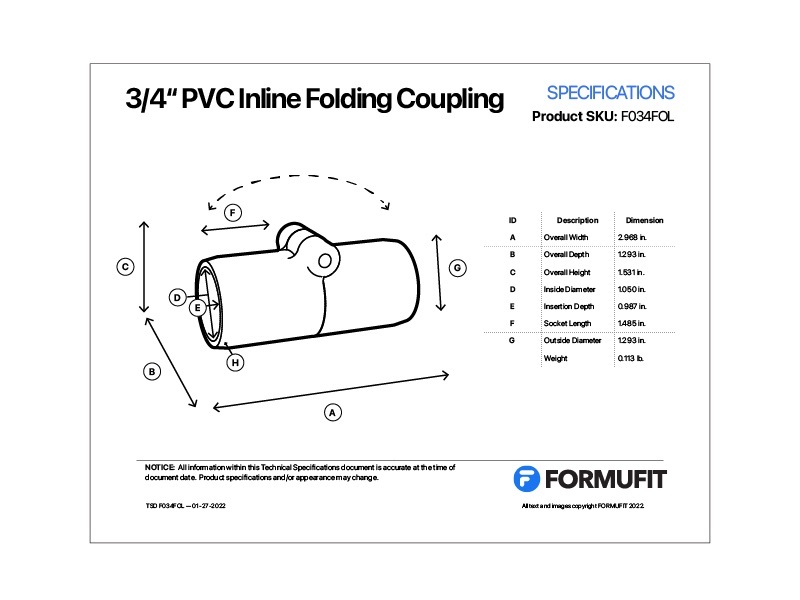 FORMUFIT 3/4" Inline Folding PVC Coupling connects two segments of 3/4" PVC pipe externally, and folds over itself. 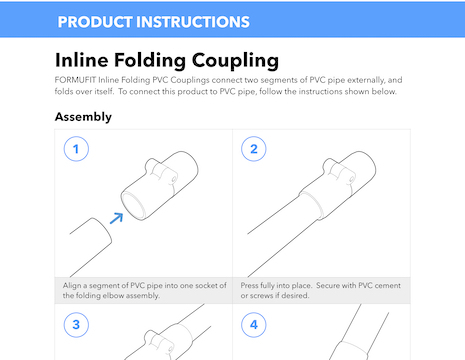 Easily create folding and storable PVC projects. 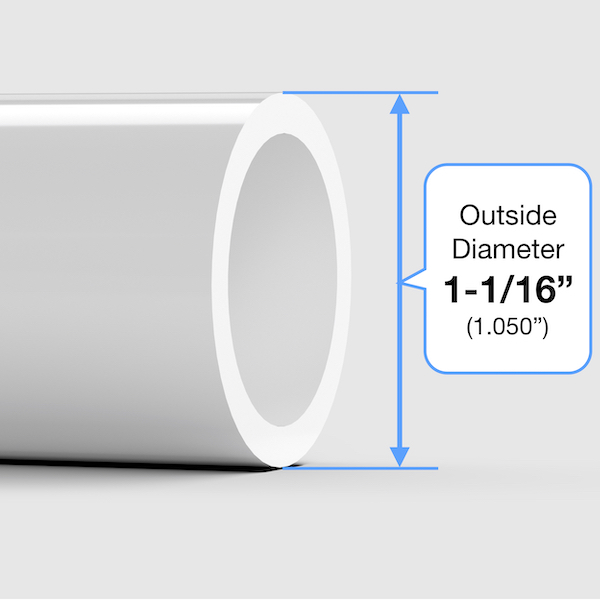 Fits externally over 3/4" Size PVC pipe, which has an outside diameter of 1-1/16" (1.050"). Integrated hinge allows pipe lengths to be inline in full, or folded until parallel to the connected pipe segment. Unsecured fold allows easy storage of PVC projects by simply folding over. All FORMUFIT products are proudly manufactured in the United States from domestically sourced materials. What pipe will this fit? This product will fit 3/4” Size PVC pipe, which has an outside diameter of 1.050” (1-1/16”) and an inside diameter of approximately 3/4“. See our PVC 101 section for more info. Not compatible with CPVC or Copper Tube Size (CTS) pipe. Download the Technical Specifications document for this product to view physical dimensions and additional details. View the product instructions, which include basic visual assembly, securing options and product use.